A great thing about the Adirondacks is how we can provide the unexpected. So often you can find our meticulous plans getting derailed by weather. Or maybe once you arrive you discover unplugging appeals more than revving up. Fortunately, we can provide both. Many people come to enjoy our great outdoors, but there's also what you might call our great indoors. We have plenty of natural history attractions, art shops, and cultural events to provide a good time; if your way of enjoying yourself is to exercise your mind more than your body, we've got you covered. Anticipate a wonderful vacation getaway, no matter what shape it winds up taking. I recently enjoyed a lovely staycation in the Whiteface Region and spent some time taking in the local arts scene. You should, too! JEMS stands for Jay Entertainment & Music Society. In the summer, they sponsor free concerts at the Village Green in Jay. 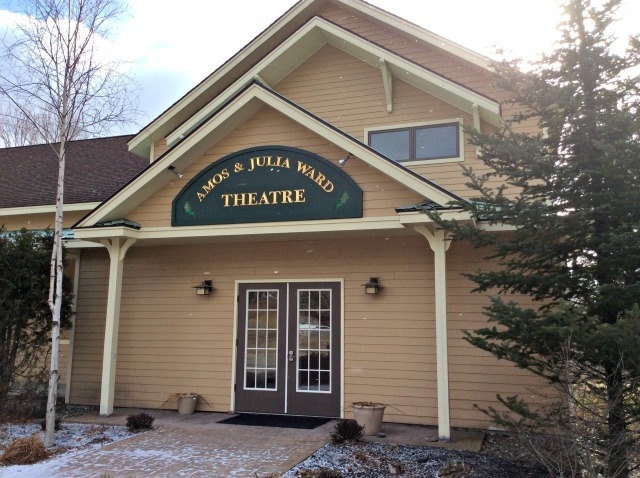 Year-round, they have all kinds of live music and dramatic performances at the Amos and Julia Ward Theatre. I attended the Latalya "Tally" Duell concert. 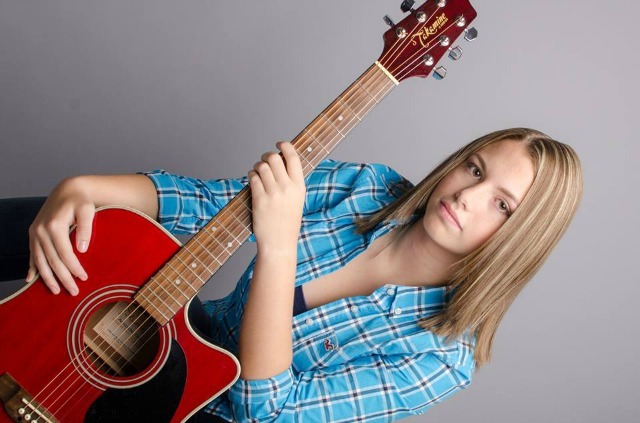 This amazing young lady, only seventeen, has won many regional talent contests. She opened for Lorrie Morgan at the Clinton County Fair, and Chris Higbee at the Essex County Fair. She is also a shining presence in our many local venues. The concert I caught was part of her polishing a new band for the next phase of her development as an artist. While she still does songs accompanied by her grandfather, Fred Thwaits, on acoustic guitar, she is also creating an expanded vocal repertoire that includes country favorites and her own compositions. This Jay performance space is delightfully informal for the audience. With local talent, much of the crowd knows the artist, or knows someone who does. 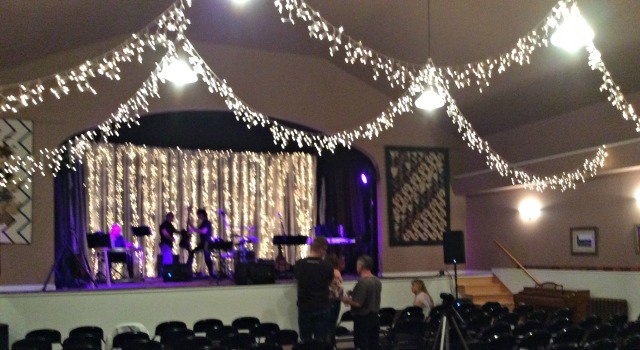 While the band is setting up, the patrons can be found milling around in the lobby, where there are complimentary hot beverages and, for a short while, homemade ginger cookies. You have to move fast on those fresh baked goods. Tally's set was a balanced mix of old favorites and new songs. Early on, she did a lovely version of "Blue Bayou," made famous by Linda Ronstadt. While introducing the band she mentioned that the keyboard player only joined them recently, but the band is already working well together. Much of the set was country, like the Patty Loveless tune, "Timber, I'm Falling in Love," and the Brooks & Dunn song "Boot Scootin' Boogie." They also played Tally's own song, "Tally's Boots." My favorite was her touching rendition of Leonard Cohen's "Hallelujah," with her grandfather on guitar. It's a rare week that JEMS does not have some kind of cultural event going on, especially on Saturday nights. The concert I attended had an appreciative and enthused crowd. There was hardly a seat left for latecomers. It's wonderful to enjoy such a talented performer in such a relaxed atmosphere. Jay has two fantastic pottery studios with attached gift shops, just minutes from the theatre. Explore the work of these local artisans and find something irresistible. Jay Craft Center has an amazing selection of all kinds of unique cups, bowls, cookware, and vases. 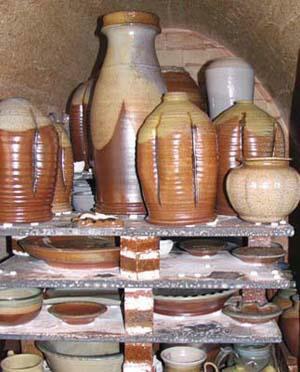 They have been making and selling their handmade one-of-a-kind stoneware and porcelain pottery since 1980. 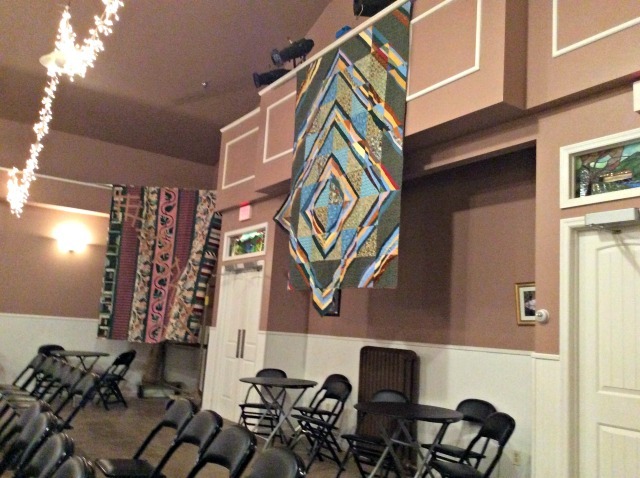 Now, they travel the country for craft shows, and keep the home base, a historic early-1900’s grange hall, stocked with plenty of delightful, and practical, art. There's also handpainted greeting cards, pottery lamps, and farm-themed dishware, among many other items. The selection is always changing. Young's Gallery is almost across the street from the theatre, and has a lively artistic sensibility which reflects the two artists who run it. 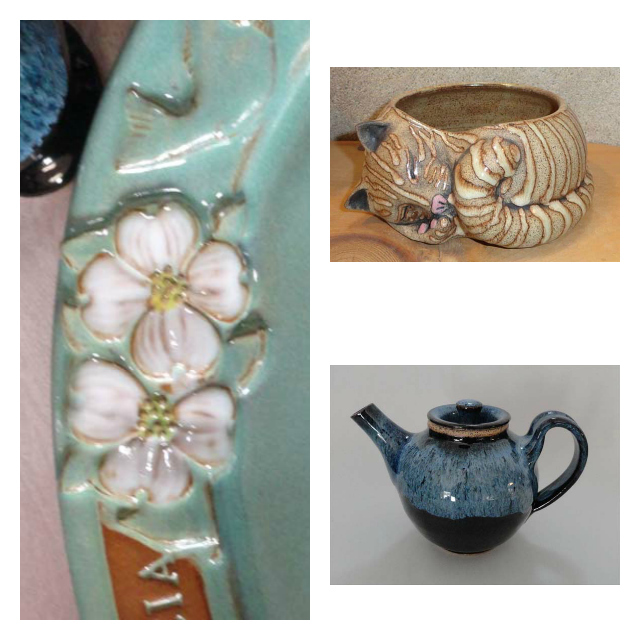 Sue Burdick Young specializes in functional pottery, both handmade and wheel thrown. There's raku pottery, ceramic pendants, sculture, and even silk painting. I really like their many cat-themed items. 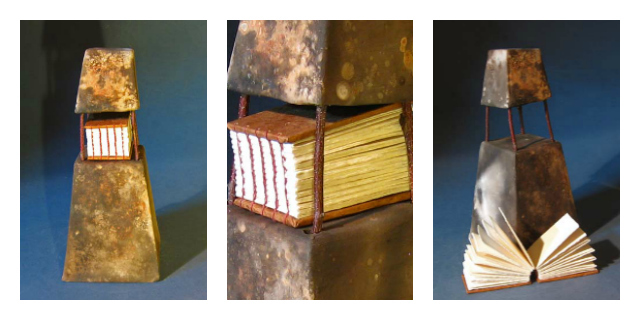 Terry Young explores oils, etching, pencil, and what he calls "book arts." I had never seen anything so charming as this approach to journal keeping. Any poet, diarist, or even scrapbooker on your gift list is sure to be delighted with something like his Book Tower. And don't forget the local crafts in our gift shops. For dinner, I chose R.F. McDougall's Pub. 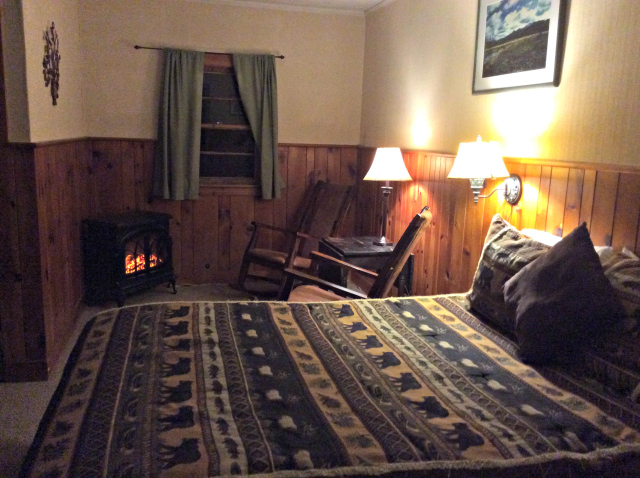 This cozy place is right on the shores of the Ausable River. 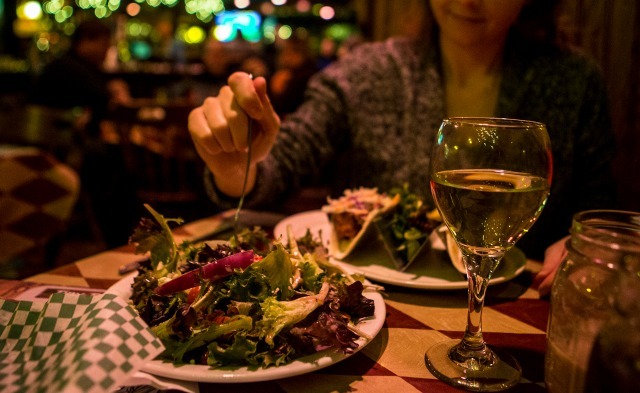 At this downstairs eatery, you can choose from their own pub favorites and the dining available from the more Continental dining room upstairs. I had previously reveled in their Steak Tips with Gorgonzola, recommended by a friend. This time, I got to sample the wings with Maple Chipotle sauce, which were mild but also lively. Their salads are some of the tastiest around, sparked with special touches and the homemade blue cheese dressing, which my server said also went great with their pub fries. By this time I was ready for a room with some real Adirondack hospitality. I loved staying at the ADK Trail Inn. The bed was comfortable, the bathroom was newly renovated, and the little kitchenette well equipped and spotless. I was lulled to sleep by the roar of the Ausable River outside my window. At breakfast the next morning I let the office manager know how much I enjoyed the "Wilderness" room. "I certainly didn't mind that there was no television," I said. "We do get some confusion about it sometimes," she said, putting out the coffee, tea, toast, fruit, and breakfast wraps that are free for guests. "We had this little family arrive, a mother, father, two teen boys. and their grandmother. I don't know what the mixup was, because she thought she was booking a place with an electronic game room and a pool. But they decided to try something different. They wound up enjoying the board games and ping pong table in the game room, and they spent some of every evening in our great room, talking to each other. The boys and their father went on hikes. They wound up telling me this was the best family vacation they could remember." I believed it. The Adirondacks are different. In the best possible way. 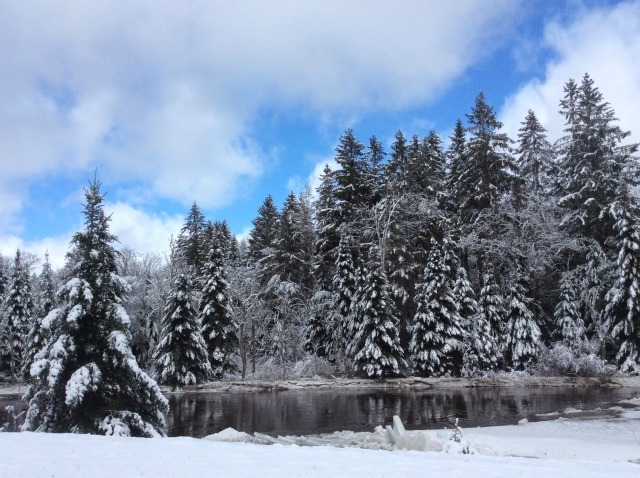 To make my weekend complete, I drove home along the Ausable, and Mother Nature dressed up for the occasion. This took longer than I had planned, because there were so many beautiful vistas to photograph. It's no wonder so many artists live in Jay. Look at the inspiration all around them. Find your own special lodging. Enjoy your favorite dining. Explore all the art.